Like many children, Henry loves books. But Henry doesn’t like to read books, he likes to eat them. Big books, picture books, reference books . . . if it has pages, Henry chews them up and swallows (but red ones are his favorite). And the more he eats, the smarter he gets—he’s on his way to being the smartest boy in the world! But one day he feels sick to his stomach. And the information is so jumbled up inside, he can’t digest it! Can Henry find a way to enjoy books without using his teeth? With a stunning new artistic style and a die-cut surprise, Oliver Jeffers celebrates the joys of reading in this charming and quirky picture book. It’s almost good enough to eat. A silly, fun version of the game “telephone”—in which a grocery list committed to memory goes playfully awry. One day, Vincent’s mother asks him to go to the store to pick up a few items: “a bunch of carrots, a box of rice, some China tea, a big, firm pear, and a tin of peas” to be precise. “And hurry home in time for tea!” she says. Sounds easy enough. Yet distractions are at every turn, causing havoc with Vincent’s memory. All of a sudden, a tin of peas is replaced by a trapeze; a big, firm pear becomes a big furry bear; and a box of rice transforms into a box of mice! Needless to say, Vincent’s mother is in for quite a surprise. Told with a playful rhythm for reading aloud and illustrated with exuberance and great child appeal, this humorous picture book will have kids laughing and asking for repeated readings. Dr. Seuss's wonderfully wise Oh, the Places You'll Go! 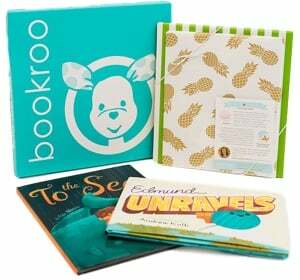 is the perfect send-off for grads--from nursery school, high school, college, and beyond! From soaring to high heights and seeing great sights to being left in a Lurch on a prickle-ly perch, Dr. Seuss addresses life's ups and downs with his trademark humorous verse and illustrations, while encouraging readers to find the success that lies within. In a starred review, Booklist notes, "Seuss's message is simple but never sappy: life may be a 'Great Balancing Act,' but through it all 'There's fun to be done.'" A perennial favorite and a perfect gift for anyone starting a new phase in their life! When Baby Billy is born with a mustache, his family takes it in stride. They are reassured when he nobly saves the day in imaginary-play sessions as a cowboy or cop and his mustache looks good-guy great. But as time passes, their worst fears are confirmed when little Billy’s mustache starts to curl up at the ends in a suspiciously villainous fashion. Sure enough, “Billy’s disreputable mustache led him into a life of dreadful crime.” Plenty of tongue-in-cheek humor and cartoonish illustrations make this the perfect baby-shower gift for a mustachioed father-to-be. It’s an unforgettable children’s classic starring two beloved characters, and a must-have for any child’s home library. Meet Duck and Goose, two young birds who mistake a polka-dot ball for an egg and have to master the art of cooperation—and sharing—to take care of it. But friendship is not always easy, as proved in this funny, accessible story. Young readers will instantly recognize themselves in these adorable and eternally optimistic characters. And this beautiful keepsake edition features extra content from the author on how to draw Duck & Goose. The sky’s no limit in a witty picture book about a child on a swing and the wonders of the imagination. (Ages 2-5) One child. One swing. An obliging dad. The inevitable plea to go "Higher! Higher!" Add Leslie Patricelli’s wildly expressive illustrations, and an everyday pastime reaches new heights of humor and whimsy. How high can it go? Higher than a giraffe? Taller than a mountain? Is Earth the final frontier? The creator of a popular series of board books rises to the occasion with an ingenious picture book of very few words that expresses the giddy glee of being pushed in a swing. Fans of If You Give a Mouse a Cookie will love this new preschool gem from beloved storyteller Keiko Kasza A hat is not just a hat in these woods! From tree branch to stream to flower patch—wherever the hat lands, someone knows exactly what to do with it and exclaims, “Finders, keepers!” But this red hat doesn’t stay in one place for long, and everyone will be surprised by what happens to it in the end. Youngsters will be delighted by the silly scenes and clever twists and turns in this charming circular story. Judy’s mom takes the spotlight as the Moody family tries to give her the birthday she would like in a broadly funny episode just right for newly independent readers. Make a wish, Mrs. Moody! Every year on Mom’s birthday, one way or another, something goes wrong-not-right. Maybe Judy’s been in a bad mood. Maybe Stink’s gotten a little carsick. Maybe Dad can’t bake Mom’s favorite carrot cake. But this year is going to be different. This year is going to be perfect. This year, Judy is going to do all she can to make sure Mom gets the happy birthday she deserves. Watch out! The Boss of Birthday (aka Judy) is on the job! Parsnip cake with avocado frosting, anyone? Hang on tight for more comic joy in this companion to the Boston Globe-Horn Book Honor winner Higher! Higher! A day at the park. A ride on Daddy's back. Run, Daddy! Faster! Faster! How fast can Daddy go? Faster than a dog? A horse? How about a cheetah? Must his feet even touch the ground? Leslie Patricelli reprises the duo from Higher! Higher! in another humorous riff on a favorite pastime — a laugh-out-loud-funny tale of few words about doting dads and high-energy kids whose imaginations know no bounds. A compilation of Eric Carle's "very" books about bugs, with projects and activities for each one. A hilarious picture book in Day-Glo colors all about worms that is perfect for fans of The Book With No Pictures and The Day the Crayons Quit. This is part counting book, part introduction to worms, but all superbly silly. The fact that the author/illustrator can only draw worms will not take anything away from the laugh-out-loud adventure readers will have as they turn the pages of this slightly subversive picture book. Thanks to the help of a fast-talking, resourceful kitty, a young man goes from poor to princely. When a miller dies, he has only a cat to leave to his youngest son. But with a pair of boots and his sharp wits, the wily feline tricks the king and changes his master’s status . . . forever. Gwen Keraval’s engaging, humorous illustrations bring to life the cat’s ingenious plans. With kid-friendly honesty and humor, Babies Don’t Eat Pizza informs and reassures children experiencing babies joining their families. Debbie Tilley’s fun, whimsical illustrations highlight the book’s lighthearted, yet sensitive, tone. To encourage family discussions, Babies Don’t Eat Pizza is best read over time. Here is a timely tale of a mouse who thinks he’s a lot braver and better than anyone around him. Undaunted by extreme heights, wild animals, or angry birds, this mouse is determined to conquer every obstacle in his path. He climbs, dives, and does all that he can to prove how brave he is. “I am the mountain mouse!” he shouts when he summits his first not-quite-mountain. And this is usually the warning for his minions to take cover . . . because what they see and what Mountain Mouse sees are never quite the same! Full of slapstick silliness and adventurous antics, I Am the Mountain Mouse points out how ridiculous a big ego can be . . . in a quite deliciously over-the-top way!